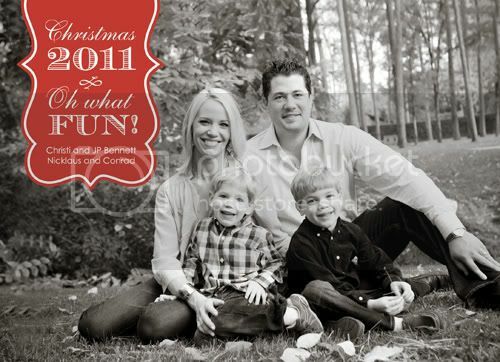 Great picture and beautiful family! We miss you! Hope you and your family had a fabulous Christmas! Looking forward to more fabulous party inspiration on your blog in 2012! Cheers! Ahaha...I see I already commented here. But it was great seeing you at Vanessa's over the weekend. FABULOUS PARTY!!!! Happy family! Do you have any party dress inspiration on your blog? Hey totally aggressive i am fully inspired here keep continue sharing. Hi Christi! How could you say that you are the worst blogger recently? You’re not! This page is full of ideas for party people and event coordinators. We will all be looking forward for more fun, new and bright ideas of fun events! Your family will surely enjoy holidays and vacations with a smart event coordinator like you! Marvelous party pictures! that's adorable. Happy holidays, even in this first month of the year, it's still a holiday. There are many requirements or necessities coming up in present day time and hence it is always important to hire groups who are expert in this toronto magician field. Make sure you select the best of service providers who can arrange all such ideas and new services in a very short span of time and balloon delivery Toronto at low prices too. Your Christmas card looks very nice. I hope you had wonderful holidays.